Capcom has revealed the upcoming Collector's Edition set to release for Street Fighter V. And while the usual DLC model looks to be going away, retailer-exclusive pre-order costume DLC does not. 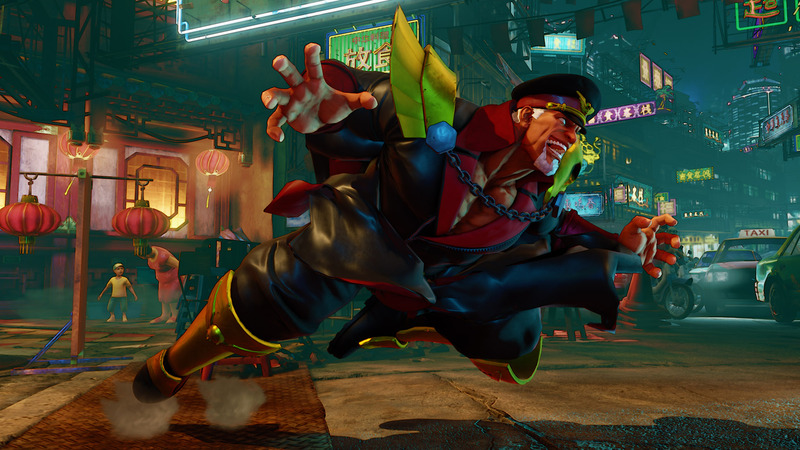 The Street Fighter V beta launched over the weekend, giving users their first crack at the game. As that period continues, Capcom has announced that the game will get a Collector's Edition, as well as some retailer-exclusive pre-order costumes. 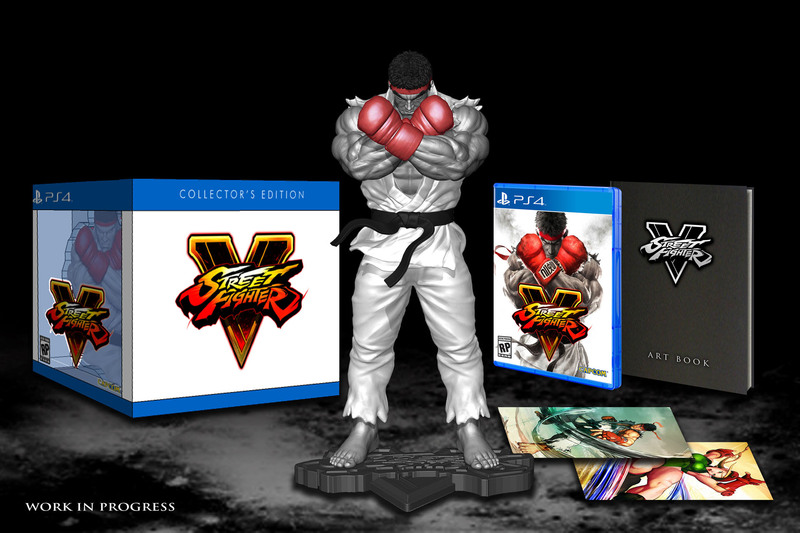 According to Capcom-Unity, the Street Fighter V Collector's Edition will include the base game, a 10-inch fully-painted Ryu statue, a 48-page hardcover artbook filled with design sketches, Code Cards for additional content, Street Fighter Comics from Udon, a soundtrack sampler, and a two-month subscription to the Capcom Fighters Twitch channel. Capcom also notes that a one-month subscription to the Capcom Fighter Twitch channel will also come standard in all versions of the game. The Collector's Edition is set to run for $99.99. Also, while Capcom has opted to forego its usual DLC model in exchange for in-game Fight Money, it does appear that pre-order costumes are still on the table and they're retailer-exclusive, at that. Digital pre-orders will get Chun-Li in a black battle dress, Amazon pre-orders will get a black outfit for Bison, Best Buy pre-orders will get mission gear for Cammy, and GameStop pre-orders will get an epic beard Ryu. 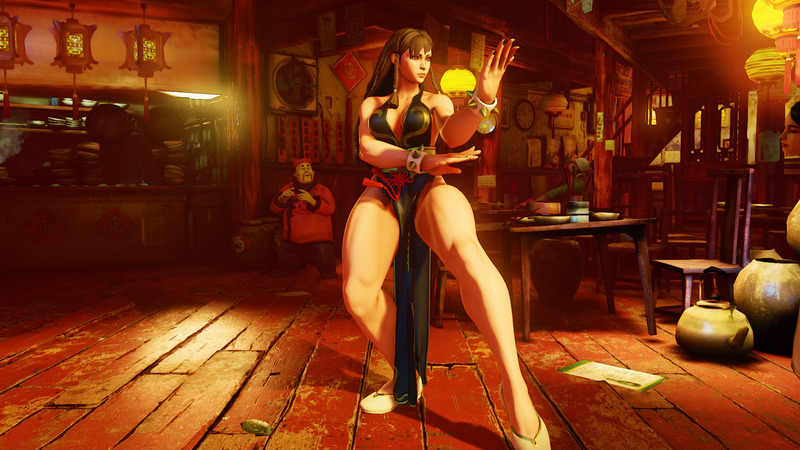 The Street Fighter V beta is set to run on PS4 through this Wednesday with the PC beta set to begin at a later date. The game is set to release on both platforms in March 2016. Dat epic beard. Dose thunder thighs. Anybody know if they plan to beta test cross-platform play? Yes they do, but not in this first test. Omg that Cammy costume. Love it. Nice, cool Statue, man I just want the game like now. pre-order bonuses are bad enough, but the retailer exclusive nonsense is the absolute worst. I hope the options are at least purchasable in game. 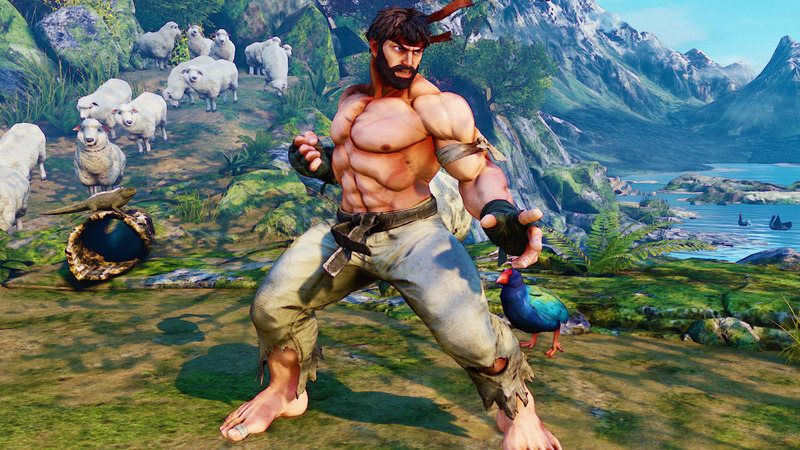 I'm going PC on this, and that Ryu looks pretty boss.